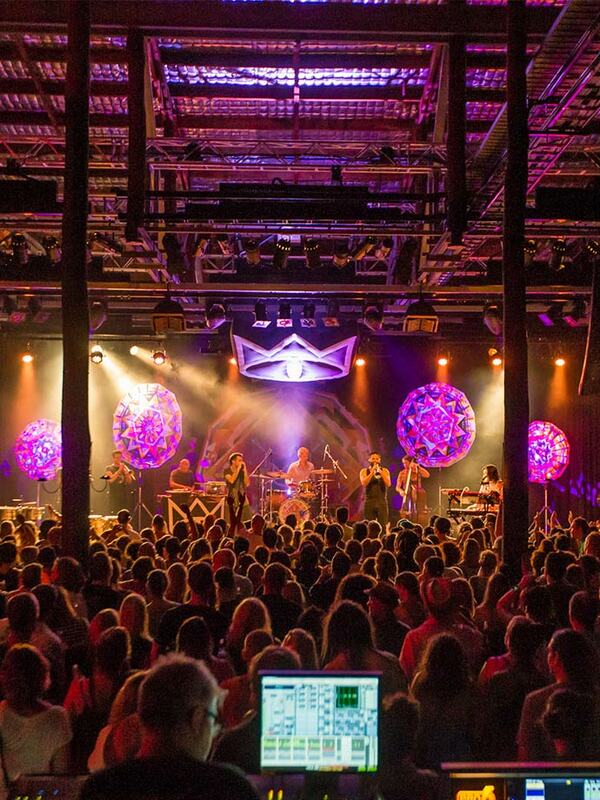 Tanks Arts Centre is the leading contemporary venue in the region voted Cairns’ Best Entertainment Venue for seven years in a row, bringing the best local, National and International performers and touring shows to the region. Situated in the Cairns Botanic Gardens precinct, just 4km north of the city’s CBD, the centre is an iconic and innovative multi-use, contemporary arts facility housed in three converted World War 2 naval oil storage tanks, and set amidst a lush rainforest backdrop. Free car parking is available close to the site along Collins Avenue and in Tank 1 car park (close to railway line and the Sheridan Street entrance to Collins Avenue). Three accessible car parks can be found directly in front of the Main Entrance to Tanks Arts Centre (in front of Tank 4); and one on Collins Avenue in front of Tank Sixty Four Café. 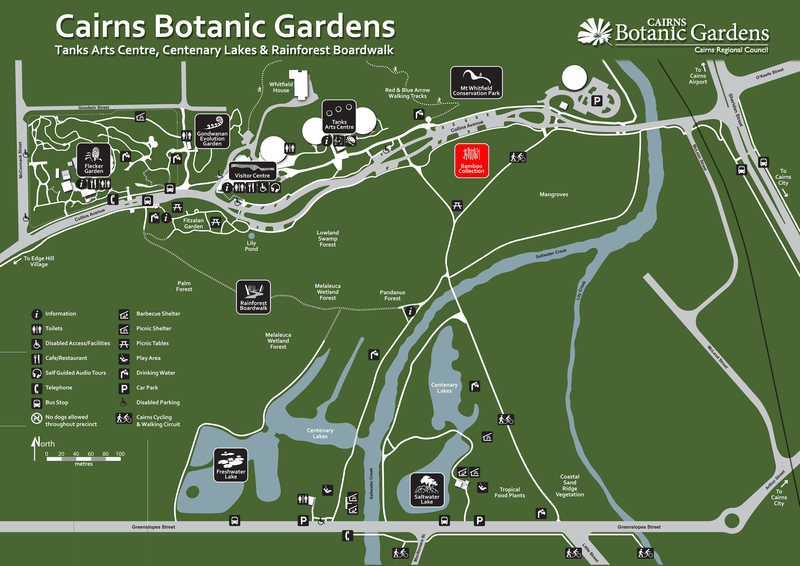 View an aerial map of the Tanks Arts Centre in the Cairns Botanic Gardens Precinct.